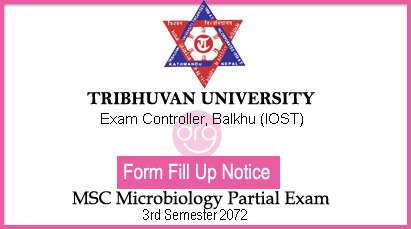 On 04 March, 2018 [20 Falgun, 2074], Tribhuvan University (TU), Institute of Science and Technology (IOST), Office of the Controller of Examination, Balkhu published form fill up notice for the chance exam (partial exam) of M.Sc. Microbiology 4th (IV) Semester 2072 group. Students are eligible to sit in the examination who have had back paper in maximum two subjects. 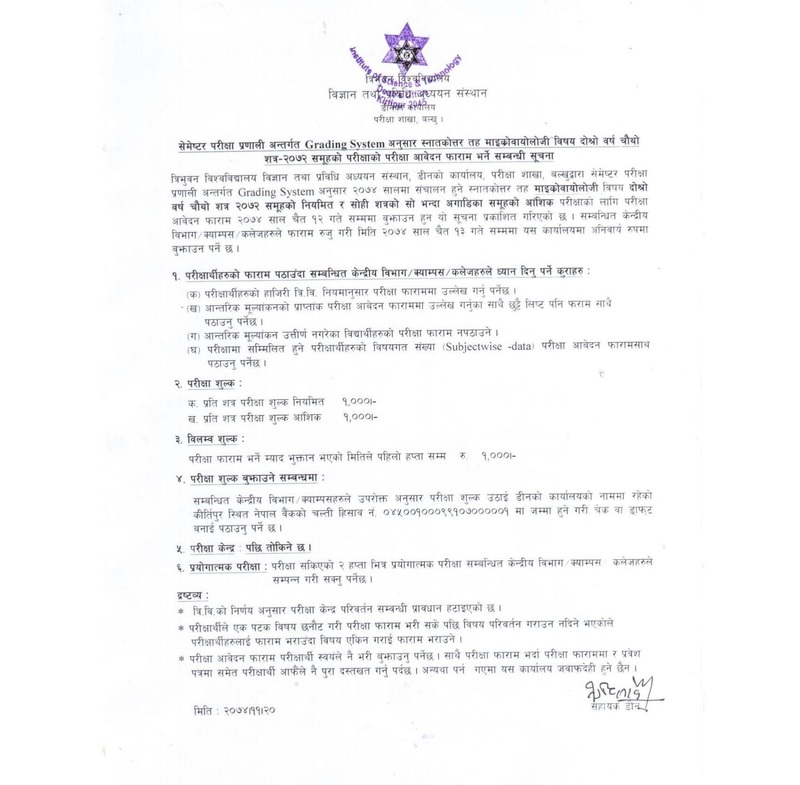 The application should be submitted by students till 12 Chaitra, 2074 [26 March, 2018] and Colleges must submit the application to the Universities by 13 Chaitra, 2074 [27 March, 2018]. Examination Center will be announced soon. 0 Response to "M.Sc. 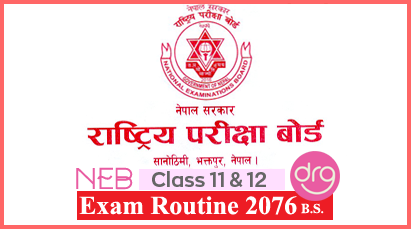 Microbiology Fourth (4th) Semester 2072 Partial Exam Form Filling Notice"